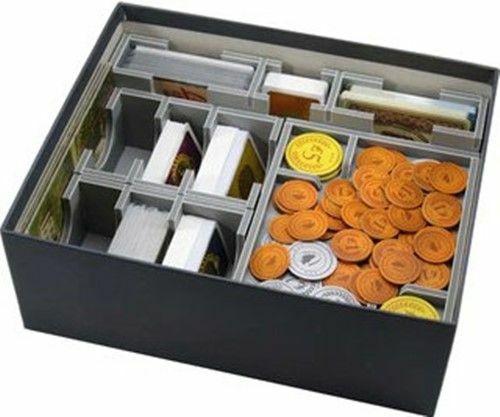 This insert is designed to be compatible with Viticulture Essential Edition, and the Tuscany Essential Edition, Moor Visitors, and Visit from the Rhine Valley expansions. The design provides both efficient storage and improved game play. Many of the trays can be utilised during the game, and they greatly aid set-up and clear-away times. The rules and boards act as a lid on top of the trays.